I love when a designer takes something of utmost quintessence and still can add something different without taking away its essence or ruining it all together. 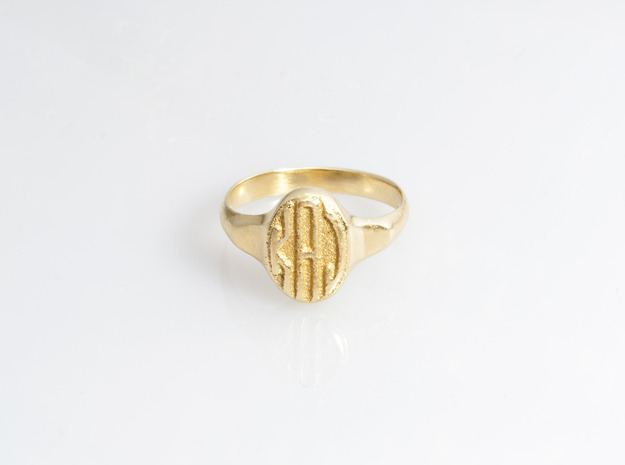 The multi-talented Kate Jones of Ursa Major Jewelry (and formerly the creative director of Taylor Stitch) has done just that with the classic signet ring. 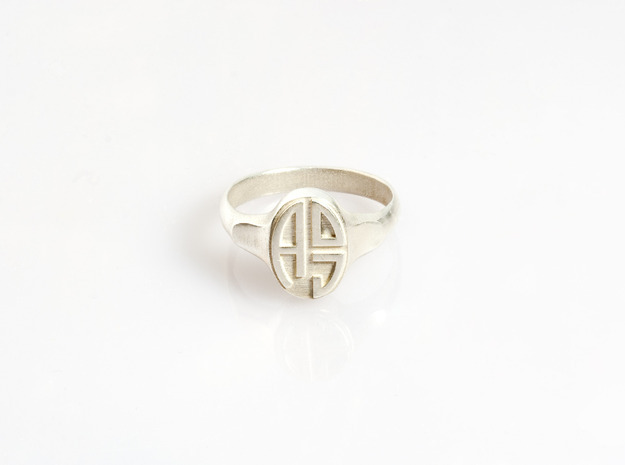 Instead of initials being etched, she has created a signet ring with a raised monogram, and aptly calls it Not Your Grandfather's Signet Ring ($90-$690). Important note: If you happen to get caught up in a bar fight, this ring might leave "quite an impression"—if that's not what you're looking for, you may want keep it blank. Har har. Haha, me neither. What's wrong with us!? Very cool. I bet you can also use it to leave an impression in a wax letter seal. These are so stunning and I'm loving reading these comments by you other readers! After reading the Q&A about Kate a couple years ago I developed a serious girl crush on her. She is just SO stylish and cool.